Start by signing up to Betfair (if you do not yet have a Betfair account) using the below link. 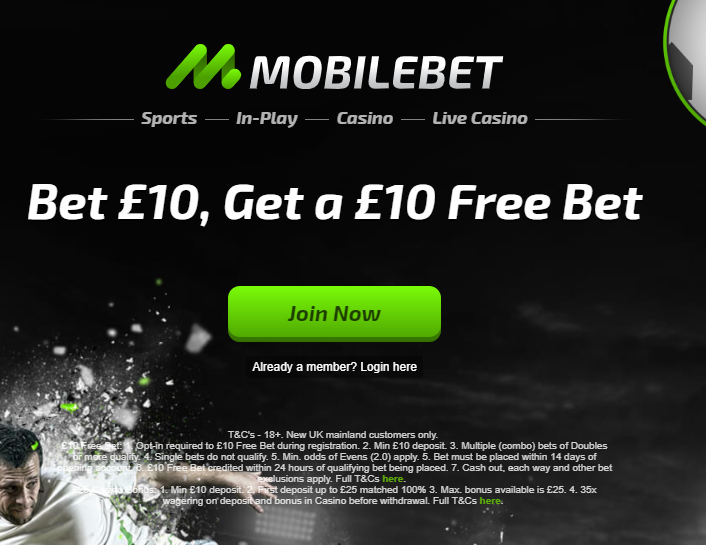 Then, sign up to Mobile and deposit £10 to receive the Bet £10 Get £10 offer. 0) Activate your £10 free bet via visiting your 'account' section. 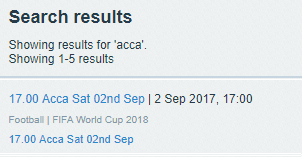 By searching 'acca', ideally on a Friday or Saturday morning when there are major football games running, Betfair will present you with a list of acca markets which include doubles. This means you could choose Spain and Holland which has lay odds of 2.4. So simply head to MobileBet, click on Spain and Holland to add them to your betslip and then you will see the back odds for this double! If you are familiar with the Acca Finder (guide) then you can simply select MobileBet from the dropdown and it will show you the best doubles to lay with min odds 2.0. If the first team loses, you do not lay the second team. The £10 free bet is added within 24 hours of the trigger bet being placed. Please note the Mobilebet free bet expires within 7 days. Enter £10 in the Calculator for the stake. Use the Mobilebet free bet in the betslip. Easy money! If your trigger bet or free bet won in Mobilebet, then withdraw these winnings.